HAI 2012 workshop —the International Workshop on Human-Agent Interaction (HAI 2012) was held in Vilamoura, Portugal in October 2012 with IROS 2012. More information can be found at the IEEE website. 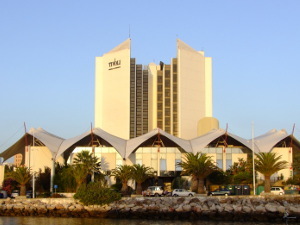 Vilamoura, Portugal photo credit (used under a Creative Commons License). This entry was posted in Conference by hai-conference. Bookmark the permalink.